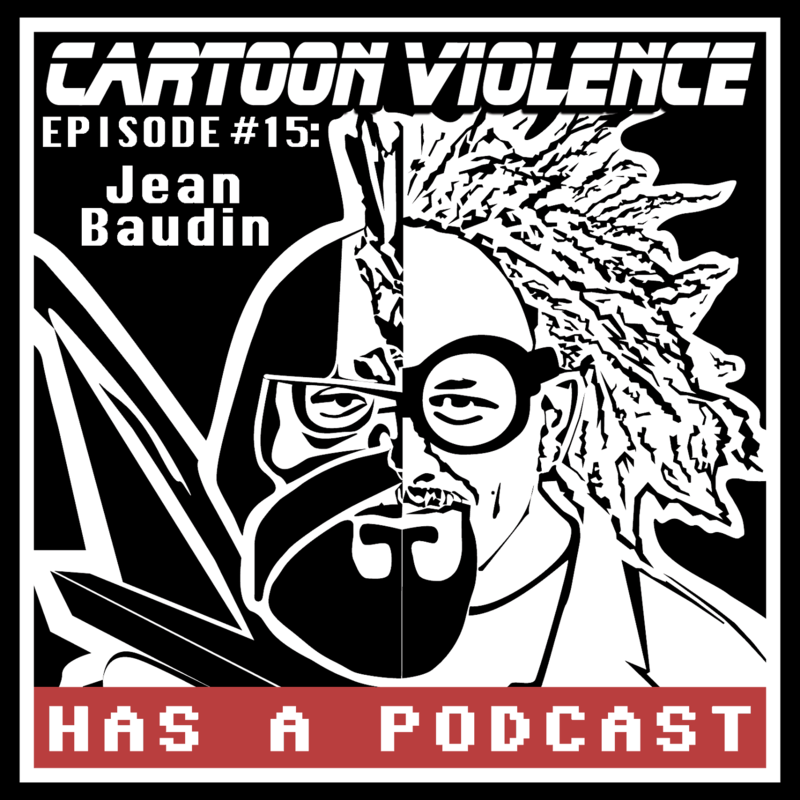 Bassist Jean Baudin (@elevenstrings) joins us on Episode 15 to talk about his long journey from 4 to 11 strings, auditioning for America’s Got Talent, founding Nuclear Rabbit, and transitioning from that to his solo bass instrumental music. Jean also shared with us some of the sounds that his extensive pedal boards can make, some hints about his future music projects, and the trivia fact that if you look real closely, you can spot him in the mosh pit in Primus’ Jerry Was A Racecar Driver music video. This month’s top 5 list is our favorite bass riffs! Tweet us your own top 5 bass riffs using the hashtags #cv5 and #bassriffs! This month we also have two promotions going on. First, if you post a photo wearing one of our 12 new shirts from our new store at cartoonviolence.threadless.com, then Professor Robot will draw you as a taco. Second, tweet at @CartoonViolins to guess what type of bird interrupted this podcast, and you could win this month’s Loot Crate. If you’d like to get your own Loot Crate subscription, use our special link http://lootcrate.com/weekingeek and enter the offer code WIG to get 10% off your subscription.